TBIN Members Share Their Top Picks Of Christmas Markets That Should Be Visited in 2017! That Should Be Visited in 2017! 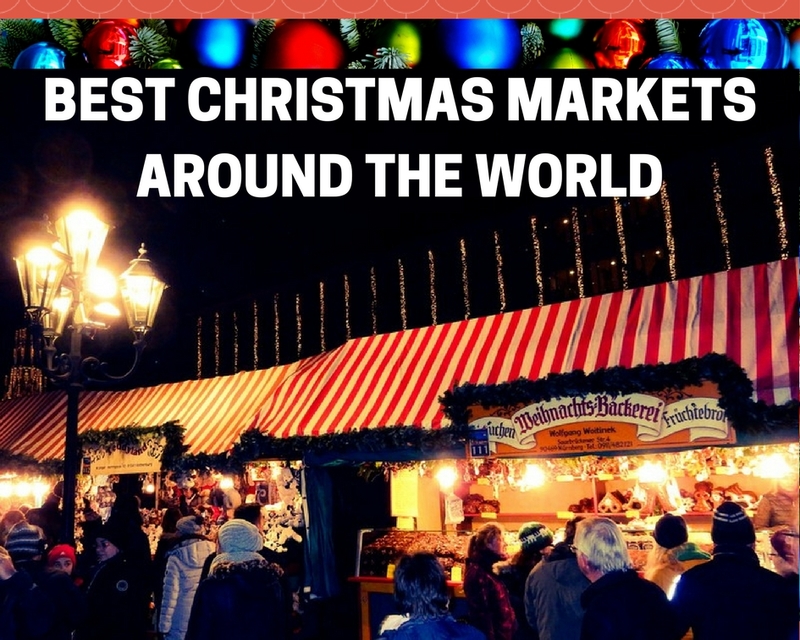 Have you visited a Christmas Market or Holiday Market near home or when travelling? 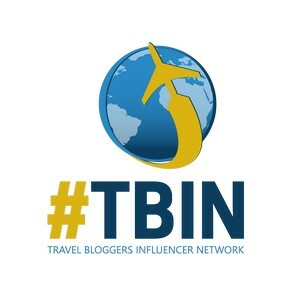 WAVEJourney asked our Travel Bloggers Influencer Network (#TBIN) colleagues for their expert opinions about markets they have either visited and recommend, or those that are still on their wish list to visit soon. 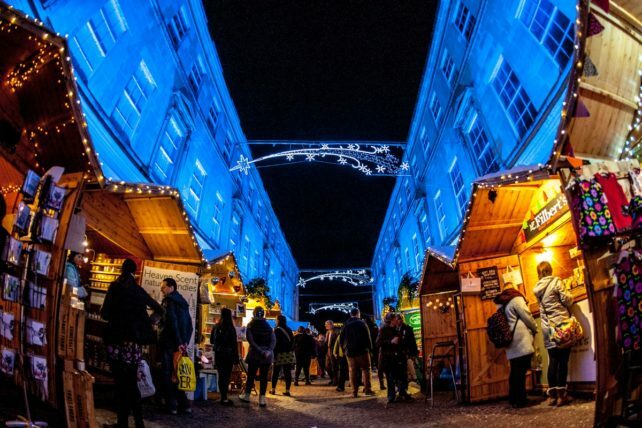 Below are the team’s 26 Best Christmas Market recommendations for 2017. 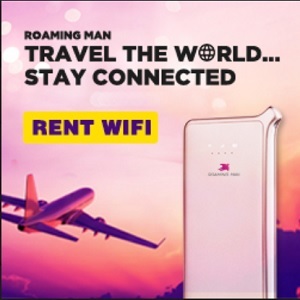 There are some fascinating recommendations in Canada, USA and Europe that are bound to make you yearn to hop on a flight and experience this magical season. 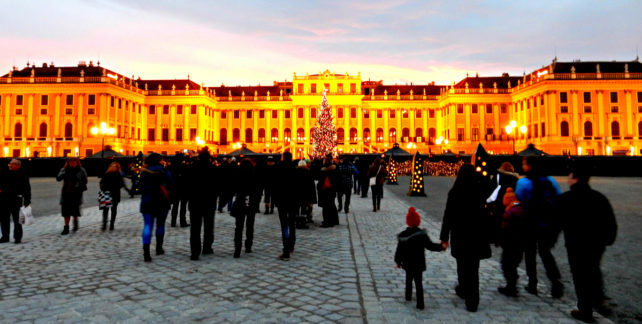 From manor house to hunting lodge to eventually the imperial summer residence of the Habsburg monarchs, Schönbrunn Palace in Vienna, Austria hosts a most remarkable Christmas Market. This 1,441-room Baroque palace boasts extensive grounds with an incredible Park and Gardens. The park, open to the public since 1779, was placed, along with the palace, on the UNESCO list of World Heritage Sites in 1996. The upcoming 24th annual “Weihnachtsmarkt” runs from November 18th through December 26th of this year (converting to New Year’s Market after this date through January 1st, 2018) The forecourt of the Palace will feature around 60 to 75 vendors/exhibitors. 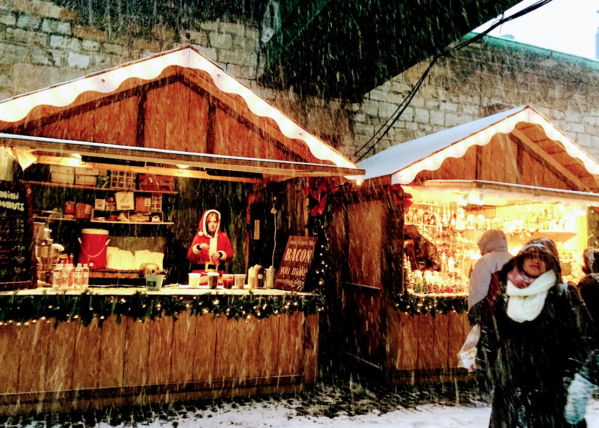 We visited this spectacular Christmas Market in 2014 and it was definitely a market highlight. The aroma of fresh baked goods and Christmas punch (Weihnachtspunsch) filled the air. Lebkuchen and roast chestnuts were readily available to savor. High quality wares from the workshops of artisans showcasing candles, pottery, woodwork and much more made for great gifts. The beautifully decorated Christmas tree is always a centerpiece and we loved watching all the folks taking pictures for keepsake memories of a grand and wonderful event. Prague, Czech Republic by Meg Jerrard of Mapping Megan. Prague’s Christmas markets are world renowned, and take place in Old Town Square and Wenceslas Square. 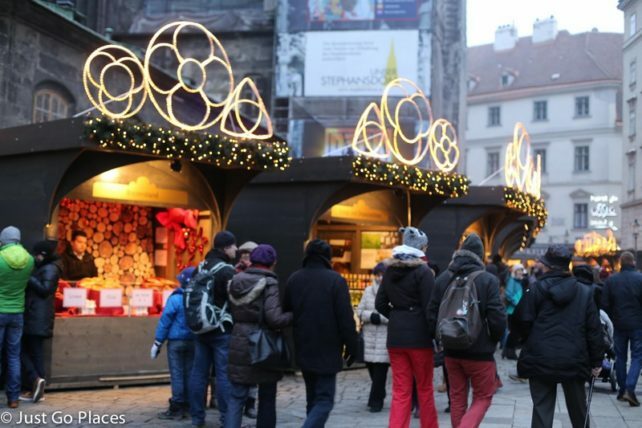 Czech carols echo throughout the market and the beautiful medieval surrounds. Adults can choose from regional handicrafts including intricate glassware and jewellery, bohemian crystal, embroidered lace, wooden toys, and Czech marionettes. And there’s plenty to satisfy your sweet tooth; honeyed gingerbread, vánocvka (a braided pastry with raisins), and vosí hnízda (cookies laden with nuts and rum) are all readily available, best washed down with a sweet mulled wine. Generally, when people think of Christmas Markets, they think of the incredible, more well-known ones throughout Europe. But Toronto has its own great Christmas Market located in the Historic Distillery district. Preparations are being made for the opening in a couple of weeks, the central fixture ( the Christmas tree) is already up with the countdown running for shopping days to Christmas. The Market opens from November 16th to Dec 23rd this year. The Distillery district lends itself perfectly for the staging of the Christmas Market with its historic buildings and laneways lined with cobblestone. 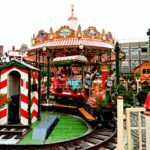 In the tradition of old world markets, there are local artisans, a beer garden, and of course Santa’s Lane with a merry-go-round and a ferris wheel. The beautifully decorated 54 foot tree is located by its main staging area where over 2400 musical performances from carolers and Bavarian brass bands can be experienced. The tree is lit by over 40,000 lights and has more than 800 Christmas balls. The food, the lit laneways lined with the vendors, the shopping, and the entertainment all take you back to the warm traditions and romance of Christmas. 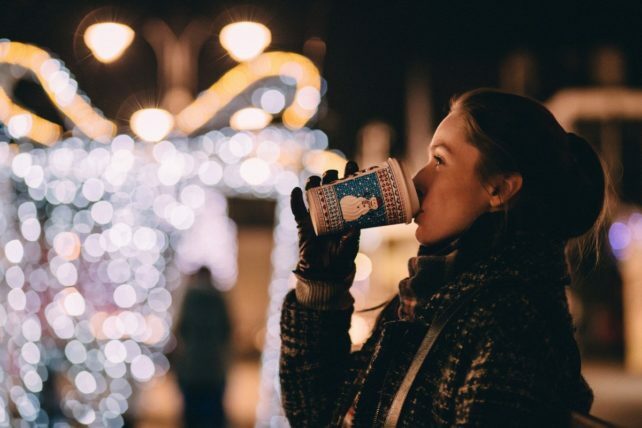 The perfect place to get yourself into the holiday mood and find that unique handcrafted gift while taking in the magic of the Christmas season .. and throughout your visit, you can keep yourself warm with a mulled wine or a hot rum drink! I have a dream, a Christmas dream, to see the famous Christmas markets of Europe. Imagine wandering through a medieval town square surrounded by the lights and decorations, the music and ornaments. Sounds like holiday heaven to me. Hot spiced glühwein, crepes, ginger cookies, and roasted chestnuts. 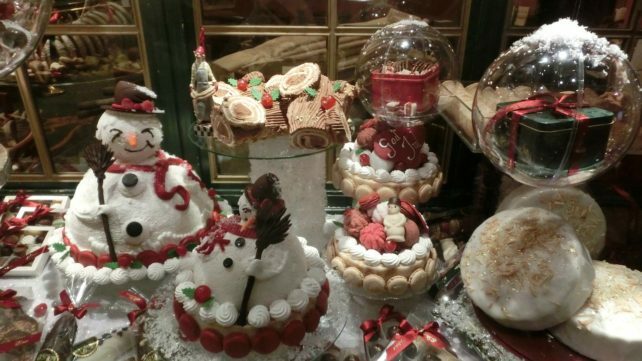 And don’t you just know all those European pastries and chocolates would taste even better with Christmas in the air? I don’t just want to see one European Christmas market. I want to pig out on them. The logistics, however, are daunting—cramming several trains and planes and distances into one holiday trip. That’s why my holiday dream is a Christmas markets river cruise. Could there be a better highway between all those old-world towns than a river? No luggage to schlep, no hotels to book and find, sailing smoothly from town to town while you relax in a stateroom or lounge on deck with a festive drink in your hand? Yes, bring on my European Christmas markets river cruise please. I’m quite overcome with visions of dancing sugarplums as I dream about the perfect holiday trip. Maybe next year? One of our favorites is the market in St. Blasien, located in the southwest Baden-Wurttemberg region of Germany. Surrounded by the Black Forest this they have been hosting its holiday market for over 60 years. What makes it even more magical is the St. Blasien Abbey also known as the “white church.” The market surrounds the beautiful and stately church. Go inside and see the magnificent detailing in this cathedral. The over 200-foot high dome in neoclassical style is breathtaking. As you would expect, the market is loaded with local foods that must be sampled. Don’t miss a steaming mug of glühwein, the infamous and delicious hot German mulled wine. The market features handcrafted locally made items that are unique and make wonderful gifts. Relish in the sounds of choirs performing outdoors singing holiday songs in German and English. If that doesn’t get you in the holiday spirit nothing will! Quebec City has a traditional German Christmas Market in December right in Old Quebec. 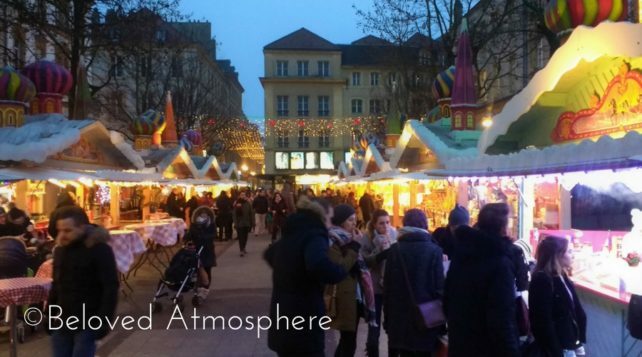 Le Marche de Noel Allemand immediately feels like Christmas: a warm atmosphere, twinkling Christmas lights, and nearly 60 wooden vendor stands featuring handmade wares of local artists. The spices of cinnamon and cloves fill the air. Be sure to bundle up as the weather will likely be chilly, although you can warm yourself by a crackling fireplace or with a glass of mulled wine. 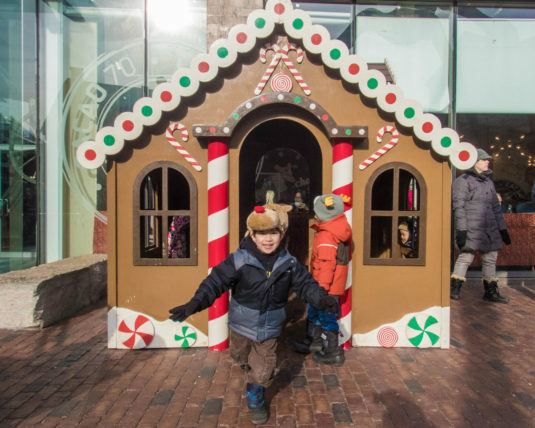 There’s tons of mouthwatering meals and snacks, including gingerbread, giant pretzels, roasted chestnuts, handmade candy, and even maple tea (adding some Canadian flair!). With Christmas decorations and lights, as well as special appearances by Santa, Le Marche de Noel Allemand is full of holiday spirit right in the heart of Old Quebec. Florence takes Christmas seriously and has multiple Christmas markets around the historic center of the city. Our favorite and the largest is on Piazza Santa Croce. The market is in a beautiful location in front of The Basilica di Santa Croce, built in 1294. Here you will find wooden booths full of holiday cheer. The booths are overflowing with crafts, decorations, food, and drink. Our boys were drawn to the carts with an abundance of decadent candy, while we were tempted by the hot apple cider spiked with amaretto. Mmmm. Be sure to go into the Basilica to see some stunning art and visit the final resting places of Michelangelo, Machiavelli, and Galileo. Next, wander over to the Piazza del Duomo to see the massive Christmas tree and the nativity scene. After all this wandering, chill out on the Piazza Libertà at Florence’s annual ice rink. 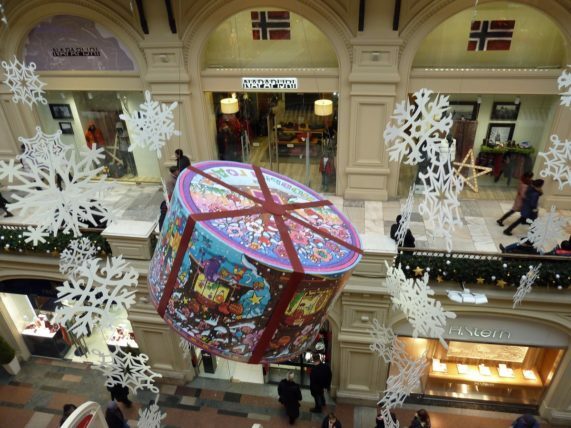 That may seem like a far out destination for Christmas, yet Moscow is magical during such days. Every classical building (and there are many) is highly decorated in the Christmas spirit and… ornaments. The dominant religion in Russia is Orthodox Christianity, so you get the idea. We’ve been there and were astonished by the warm feeling of Christmas, along with pretty freezing temperatures. At the photo above is a huge building with all kinds of fashion clothing, restaurants, cafés, small bars and music. The building is right next to the famous Red Square, which by itself is another astonishing attraction and landmark, with lots of museums and churches. During New Year’s Eve, Red Square is the main place where everyone gathers to celebrate New Year where rock bands play astonishing loud, allowing the abundant vodka to take you to new… heights. One of our favorite times in NYC is when the holiday markets open up. There are so many to choose from, we just visit them all! From the amazing variety of food to the gorgeous crafts of local artisans, we love to hop from holiday market to holiday market. While many of the markets have some of the same vendors, each has its own personality. Here are a few of our favorites. 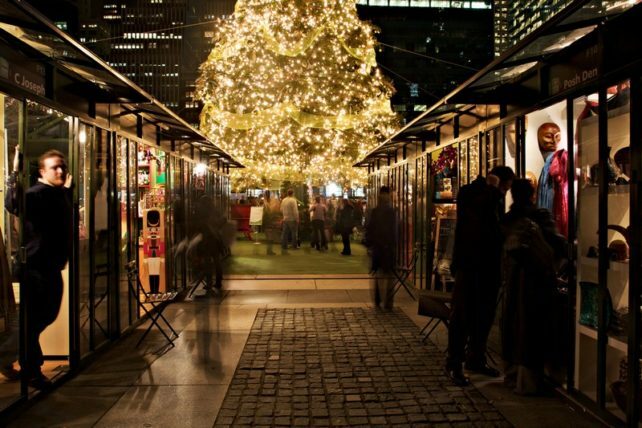 From ice-skating to cocktails at Public Fare to all the shopping, Bryant Park’s Winter Village should not be missed. Another one of our favorites is Grand Central Holiday Fair located inside Grand Central. The stalls in the market are set up so that shopping is easy and the Oyster Bar is the perfect place to grab a bite to eat after all that shopping. Also at the top of our list is the Union Square Holiday Market with over 100 vendors and food options galore. No matter which holiday market you choose, you will find one of a kind artisans and so many fabulous gifts and treats you’ll be off to a great holiday season when you visit New York City. In all of our travels we’ve yet to visit a European Christmas Market and we are well past due. 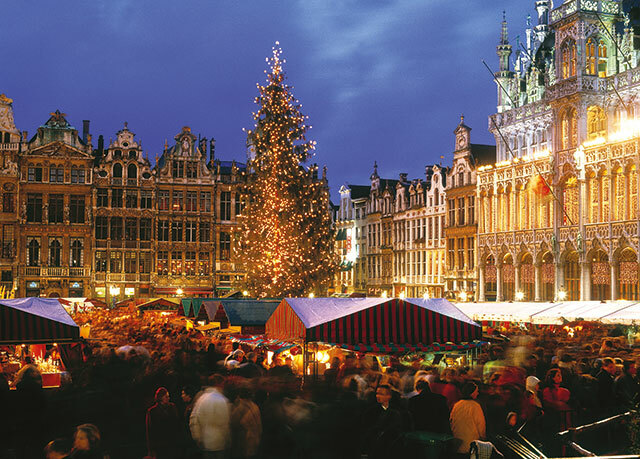 This year, we’re dreaming of a white Christmas and hope to visit the Brussels Christmas Market. We love the city of Brussels in Belgium. The culture, the people, and the fascinating history all make for a grand time in the city. And, don’t forget the waffles! And, chocolate! The waffles and chocolate are reason enough to visit Brussels. The stunning architecture of the Grand-Place is beyond imagination, especially when illuminated each night. Our desire to see the Grand-Place under a blanket of snow is growing exponentially. We’re looking forward to the holiday season so we can see for ourselves the hundreds of charming chalets filled with visions of all things Christmas. The beautiful lights, the wonderful food and drink, and the Christmas festivities call to us. Maybe this is our year! Our family especially enjoys the Christmas Market held in Metz, France. The food offerings and desserts are simply out of this world! There are delicious macarons, sweet or savoury crepes, gaufres (waffles), beignets, meats, cheeses, roasted nuts and of course, vin chaude. The atmosphere is a classy sort of festive, and truly sparks your holiday spirit. The entertainment is terrific as well–there are rides, music, kids’ activities and more. The city of Metz is lovely, and an easy commute from popular French hot spots like Paris, Lille and Strasbourg. If given the choice among less-trafficked French Christmas Markets, I’ll take Metz every time. You’ll be immersed in music, food, singing and festive holiday cheer all around. Did I mention food? Oh, yes, and the gluhwein. Nuremberg’s Christmas Market is a feast for the senses and sure to get you into the holiday spirit as you roam the tent-packed central square with fellow revelers. I went to the Nuremberg Christkindlesmarkt as part of a Viking River Cruises sailing on the Danube and had my eyes opened to what a non-commercial celebration this can be. The best part is the authentic feel of the market — and the sausages. Vendors must go through a stringent process to get approved to work at the market, which in 2017 runs from December 1 to December 24. Products sold here cannot be mass-produced, and the decorations must be all natural. Going this year? Have fun, and pass me some more gluhwein. Cheers! At the top of my Christmas Market wish list is the annual event in Vancouver, British Columbia, Canada. 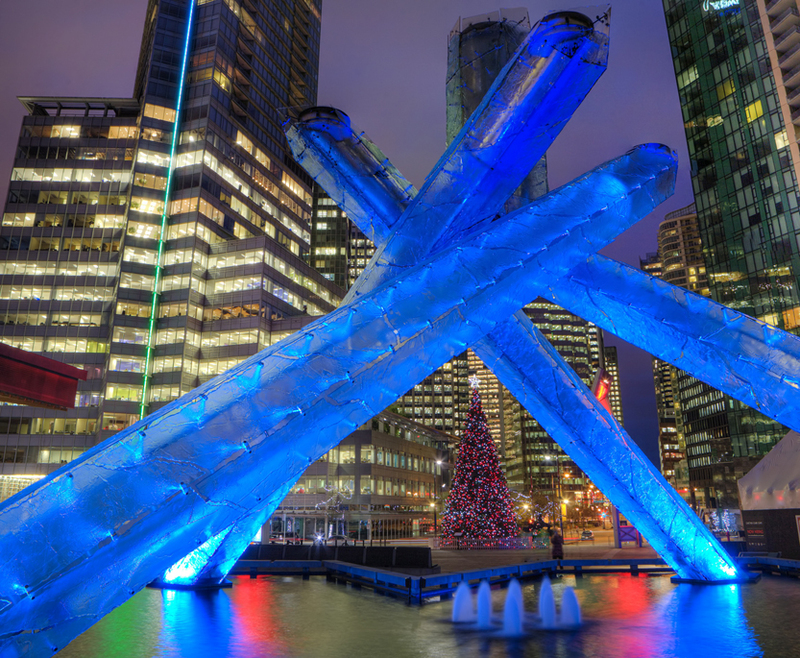 In 2017 the market runs from November 22 until December 24 at the Jack Poole Plaza where the Winter Olympics 2010 Cauldron is located. The Vancouver Christmas market features more than 75 wooden artisan huts that offer unique handmade crafts and goodies. 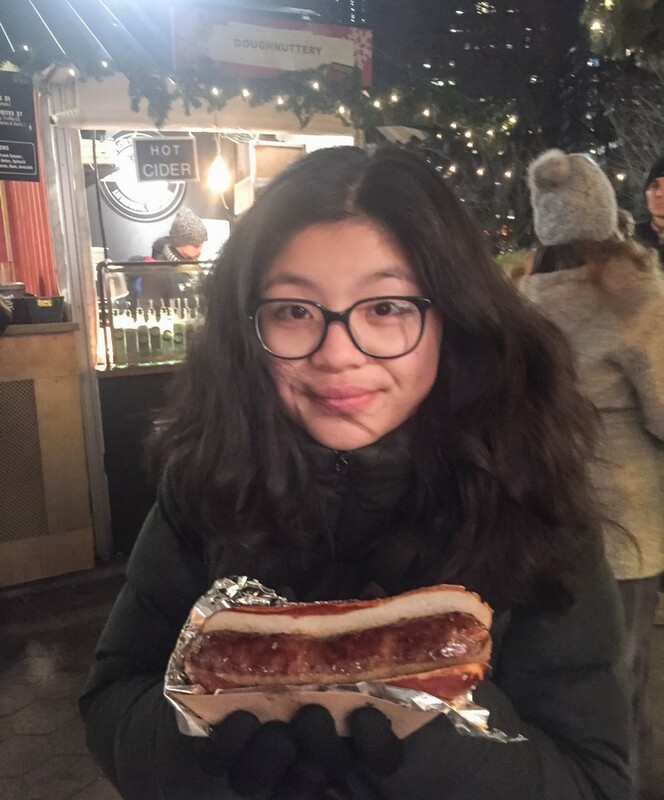 For me, part of the allure of any Christmas market is the edible treats to indulge on (German sausages, Hungarian chimney cakes, mulled wine and pretzels all sound drool worthy). To keep all ages of attendees occupied and in good spirits, there will be a variety of performances – such as: UK’s Andrew Mockler; Dickensian acapella troupe; The Christmas Revelers; Christmas carolers. Special activities during the Vancouver Christmas Market include the Christmas carousel, a market-wide scavenger hunt, and Santa meet-and-greets. This year there will also be Canada’s first Walk-In Christmas tree, which stands tall at 30 ft and is covered with 36,000 twinkling lights. 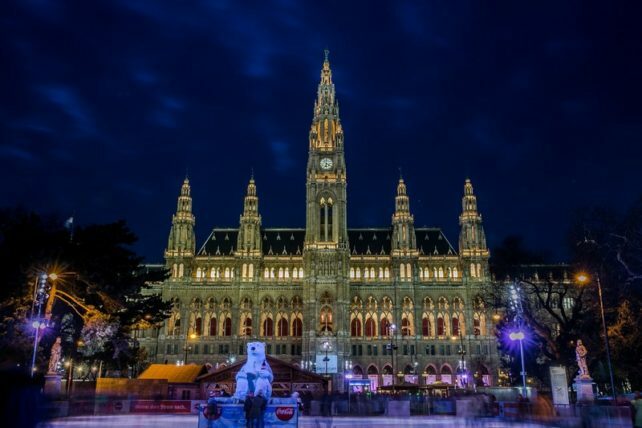 I visited Vienna a few days after Christmas and I was very sorry to miss its famous Christmas Markets, which are among the oldest and most traditional in Austria. 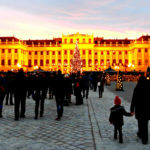 The Vienna Christmas world market is located in front of the City Hall and has more than 150 booths selling Christmas decorations and delicious food. At the center of the Christmas market, you will find a big decorated Christmas tree. Another beautiful Christmas Market in Vienna but smaller is the one in Maria-Theresien-Platz that has about 70 booths selling many Christmas treasures. The most special one though is the Old Viennese Christmas Market on Freyung as it operates since 1772. It is the most traditional one and sells handmade decorations and local products like cheese and wine. Visiting the Christmas markets in Vienna is on my bucket list. If you are looking for the ultimate location for Christmas markets, head to Germany and visit the capital city of Berlin. Ready to enjoy a stereotypical local German brew or perhaps find a hand-crafted souvenir? Berlin’s myriad of Christmas markets will ensure your visit to the capital will be rewarded by an amazing experience. Berliner Weihnachtszeit is an iconic location that hosts an annual Christmas market and if you are intrigued by the thought of sampling a glass of festive Glühwein, this is in our opinion the best place to start! The Alexanderplatz district of Berlin is certainly not afraid of getting into the festive spirit and we would argue that this area epitomizes the culture throughout the city. With a myriad of iconic architecture surrounding these markets, Berlin is perhaps the finest example of a European city that embraces the Christmas season. 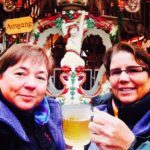 We have been fortunate to enjoy “Christmas in Berlin” and the diverse variety of markets throughout the city is undoubtedly the main reason we cannot wait to go back. Hawaii, USA by Noel Morata of Travel Photo Discovery. 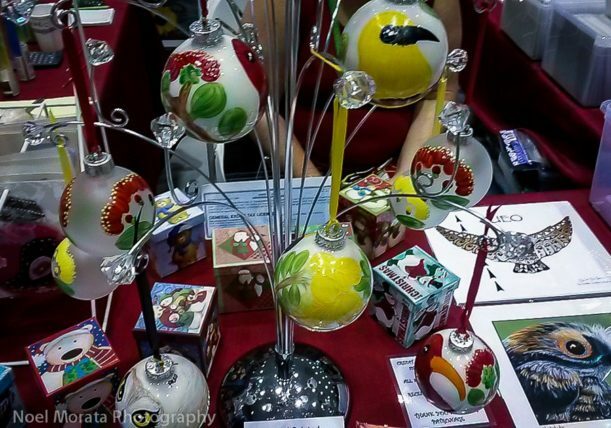 Christmas markets around Hawaii are a busy and fun affair with local crafters and artisans participating in popular Christmas sales and markets around the islands. The most popular venues tend to be markets selling locally-made and produced products from the islands, and support vendors that hand-make or Hawaiian grown products from the islands, packaged in festive Christmas wrappings. If you’re visiting the islands, make sure you check out ads or signs for upcoming markets and you’ll enjoy bringing back home a piece of Hawaii for the holidays. The Northern Irish capital makes an atmospheric place to enjoy a traditional Continental Christmas Market, especially when mixed with some of County Antrim’s own unique brand of festive fun. 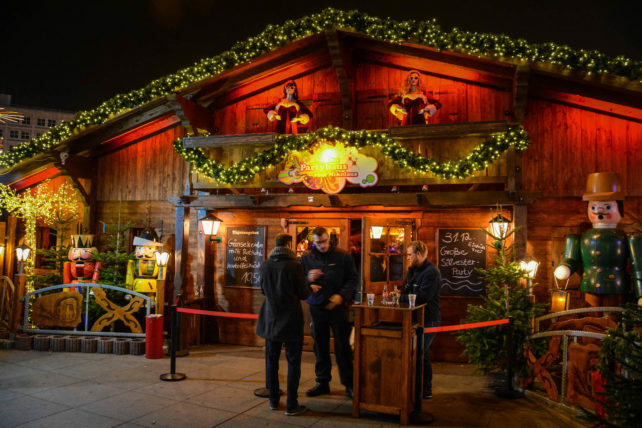 The Annual Christmas Market has been drawing visitors to Belfast since 2004 and once you’ve had your fill of German Gluhwein or become bored of the legendary beer tent here you can switch to Guinness to celebrate Christmas at one of the city’s many historic pubs. 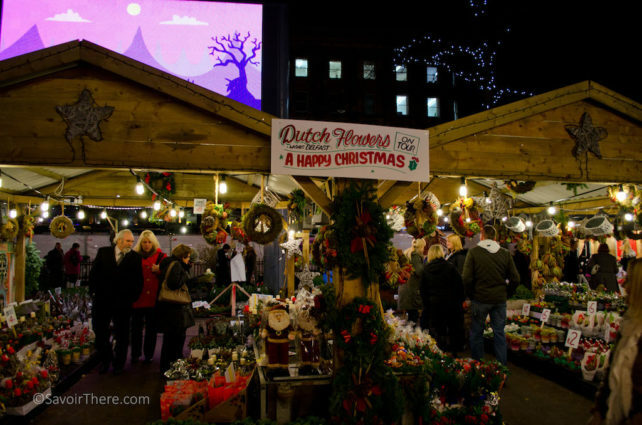 The market takes place right in the city centre surrounded by amazing shopping at Victoria Square. 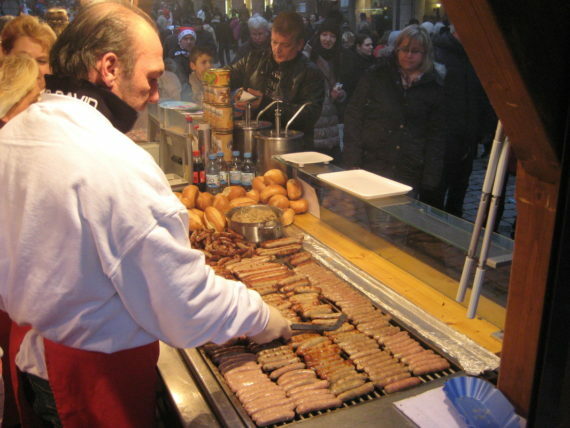 As well as the stocking fillers and winter woollies on sale this market has a huge emphasis on food – serving everything from German Bratwurst to Dutch pancakes, Spanish Churros to Aussie burgers. If you’re up for the craic (that’s a uniquely Irish way of saying ‘having a good time’) Belfast is a brilliant yuletide market to get you into the Christmas spirit. Erfurt, the capital of Thuringia, dates back more than 1,270 years. 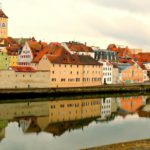 It’s a charming city in any season with its beautifully preserved old quarter, half-timbered buildings and the Merchants Bridge—a medieval bridge lined with shops and galleries displaying the work of local artisans. When the holiday season arrives, Erfurt transforms into a spell-binding display of sights and sounds. 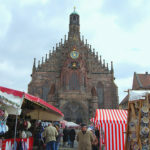 Erfurt is home to one of Germany’s largest Christmas markets. Set against the spectacular backdrop of the majestic St. Mary’s Cathedral and the Church of St. Severus, the welcoming aromas of spiced mulled wine, gingerbread and sausage fill the air as you wander through the town’s main square. Over 200 wooden huts display everything from candles to hand crafted toys to Christmas tree decorations. There’s also plenty to satisfy your appetite including regional favorites such as Thuringian bratwurst and Erfurt schittchen, a stollen so good it’s been registered as a trademark. Copenhagen, Denmark has long been on my travel wish list but until recently I always thought I would visit during the summer months to make the most of the long sunny days and warmer weather. That was, however, until I found out about their Christmas markets. This is a city that really knows how to celebrate the festive season and the capital hosts not one, not two but at least eight Christmas markets throughout December. Taking top billing is the Christmas in Tivoli Gardens market, a much-loved tradition in one of the world’s oldest amusement parks. The park is covered in thousands of sparkling white fairy lights and the gardens are full of traditional wooden houses, snow-covered trees, Santa’s reindeer and even Santa himself. The old harbour Nyhavn also becomes a Christmas market in December with lots of festive food and drinks on offer as well as plenty of opportunities to buy Christmas presents both for myself as well as family members! 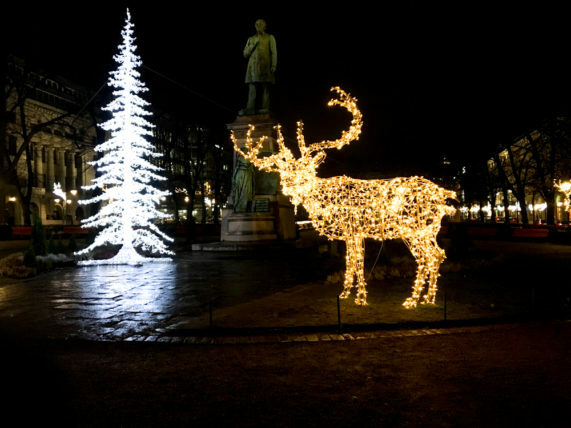 And finally, there’s the Christmas market in the Kongens Nytorv, in the heart of the city. As well as an opportunity for shopping, the setting offers beautiful views of the Christmas decorations on the Hotel D’Angleterre and the Magasin department store. The city of Bath in Southwest England is a great city to visit any time of the year but it really comes alive at Christmas. Bath is well known for its historic square and from November to December it is turned into a winter wonderland when the Christmas market comes to town. The highlight for me must be all the delicious food that they have on offer. I go with an empty stomach and an empty bag so that I can fill both with all the delights. They have everything from hot chocolate with a little tipple to the best of English cheeses. Everything smells so good it is hard to resist. The stalls are set up in chalets to give it a really Eastern European feeling. I love looking around all the crafts that are on offer. It is a great place to get your loved ones Christmas gifts. Santa Claus lives near Finland, so it’s only fitting that Helsinki is a great place to celebrate the holiday season. 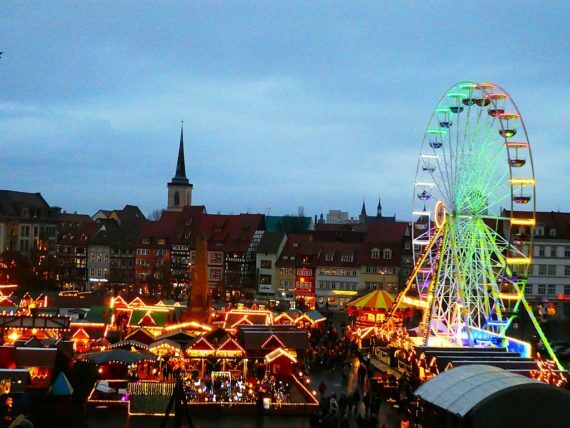 The entire city sparkles, though nowhere brighter than at the city’s biggest Christmas market at Senate Square. During the month of December, vendors sell holiday gifts ranging from artisan crafts to edible treats to hundreds of thousands of visitors who arrive from near and far. For us, the Helsinki Christmas market’s greatest highlight was the opportunity to drink glogi, the Finnish take on mulled wine with almonds, raisins and vodka. The drink not only warmed us up but also put us in a great holiday mood. 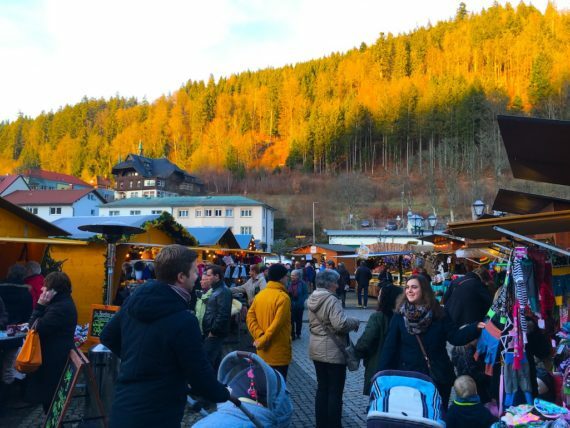 The Revenna Gorge christmas market is located a 45 minute drive from Freiburg Germany in the Black Forest. What makes this market so unique is not what it sells but its amazing location. Yes it sells all the usual christmas fare such as crafts, decorations, food and the amazing Hot mulled wine. This market is found in a deep gorge with a train bridge running straight over top. The bridge is illuminated in christmas colors such as green and red and blue. The 130 foot Devils valley railway bridge is a one in a million setting. Another unique but maybe surprising feature is that this is the only christmas market i have heard of the charges and entry fee. Bring 3.50 euro in change to get in. Parking is at a premium and can be booked online for this amazing experience. We are New Yorkers. 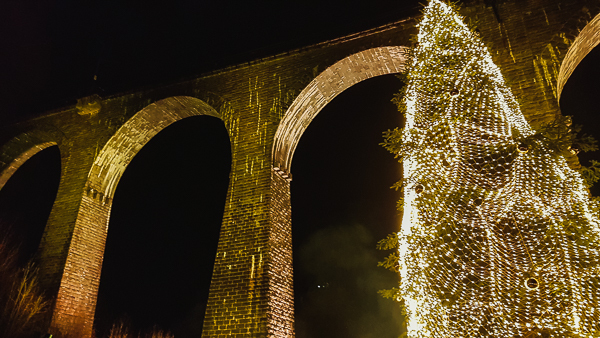 We love numerous things about our town; not the least of which, is how the city turns into a wonderland for both tourists and locals during the Christmas season. Along with all of the sites for which it’s famous, New York boasts great Christmas Markets. There are two locations, Union Square which attracts the downtown crowd and Columbus Circle set within the southwest entrance of Central Park. There are vendors selling their wares, ranging from finger puppets to mouth-blown glass ornaments. Our favorite vendors are, of course, run by German transplants. When standing in front of their stall, it’s easy to get transplanted to Nuremberg’s famous Christmas Market. What makes these markets so special is the energy that New Yorkers bring. Few scenes speak to the season more than those seen here. Few places will you find an elderly cashmere laden gentleman convive over hot cider with a leather and tattooed clad young lady. We always wondered what brought them to laughter. ‘Tis the Season. 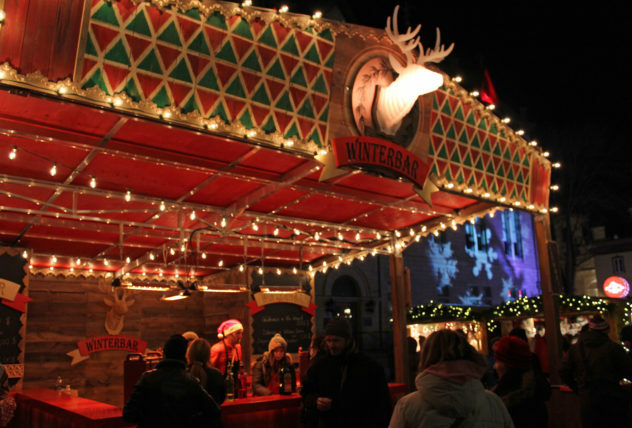 We loved Vienna in December for its huge selection of Christmas markets. 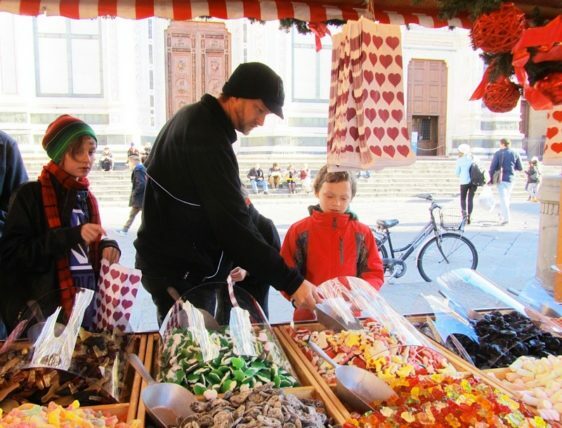 You not only have the official Christmas markets but also local neighbourhood markets. You really can’t walk very far without running into a Christmas market. They have a selection of local crafts and food and, of course, gluhwein. We collected the different cups the gluhwein came in as a souvenir of our Christmas market shopping. 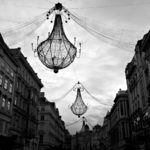 Vienna is cold in December and so nipping into the different markets as you sightsee around the town is a great way to get into the Christmas spirit as well as stay warm! Between November and the final weekend before Christmas, Toronto’s uber-hip Distillery district explodes into one of the city’s most family-friendly festivals. The cobblestone alleys of one of Toronto’s oldest neighborhoods are lined with craft beer stands, distinctive European and Canadian treats and plenty of activities to keep both young and old visitors entertained. Surrounded by the Distillery Districts unique artistic styling, the Toronto Christmas Market features Ferris wheels and merry-go-rounds and lots of great Christmas themed shops. But a visit isn’t complete without experiencing the outdoor patio at Mill St. Brewery, where visitors can taste some delicious and unique pub food by the comfort of the outdoor fire pits. 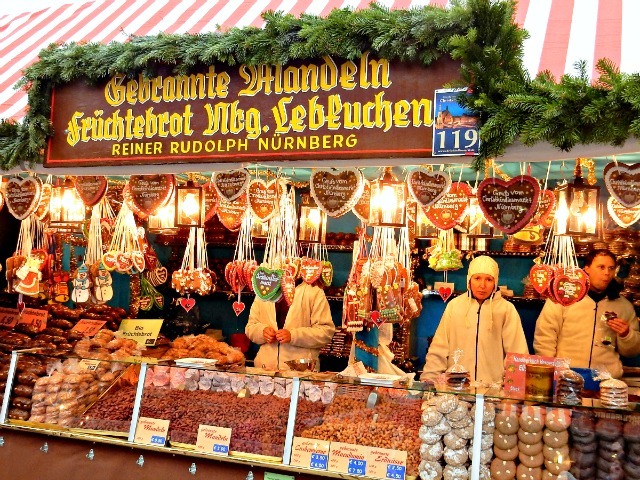 I don’t have any experience with Christmas Markets but there’s one that sits close to the top of my travel bucket list. 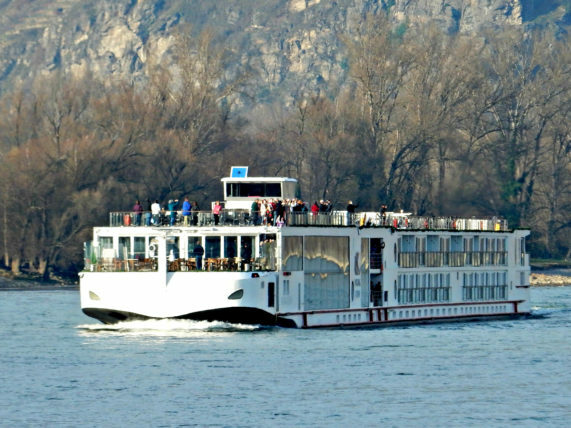 Viking River Cruise, voted the #1 River Cruise Line by Conde’ Nast Traveler, offers a variety of Holiday cruises that provide the opportunity to experience a Christmas Market in Europe. I long to tour from Amsterdam, Cologne, and Basel. Maybe even Nuremberg, Budapest, Prague, or Paris. You will not only find incredible markets full of handmade gifts by the locals but you will have the opportunity to immerse yourself within the culture. This is one of the most important things for me when I travel. I want to learn the history of the area and mingle with those who live there. I want to know their stories. I’ve looked at photos of these Christmas Market cruises a thousand times and all I can think of is it ‘looks like a fairy tale’. What Christmas Market or Holiday Market have you visited and would recommend? Now it is your turn to tell us what makes you love the place and yearn to revisit. You know the drill… send us an email or let us know on WJ’s Facebook page. Read more TBIN travel recommendations.